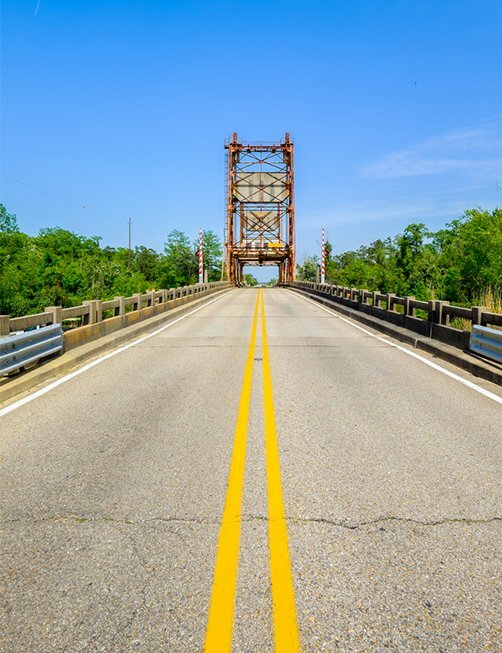 As you may expect, the increased speeds allowed on Louisiana interstates and highways result in more destructive crashes when car accidents occur. 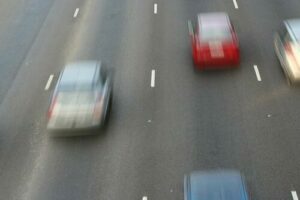 When high-speed interstate highway accidents happen in heavy traffic, multiple vehicles may become involved, resulting in pileups that damage many cars and injure or kill multiple people and you definitely need to contact a car accident lawyer in Baton Rouge to help navigate such an occurrence. If you have been hit from behind in a car accident, you are not alone. Rear-end collisions are the most common type of car accident. They are also the most common cause of whiplash, a painful and potentially disabling neck and back injury. We are confident that we can make a difference for you. In fact, having an experienced Baton Rouge personal injury attorney on your side may be the number one factor in your obtaining any recovery at all. That said, if you don’t obtain a financial recovery, you will pay no attorney’s fee or costs. Speed, congestion and destruction of multiple vehicles can also make it difficult to determine how an accident happened and who or what may be responsible for it. Attorneys Stephen Babcock and Chase Tettleton, have dedicated their professional lives to representing accident victims. They are members of Trial Masters™ – a national organization of lawyers who have tried 35 or more trials to verdict. Among many citations for their work, they are consistently named among the Top 10 Personal Injury Attorneys in Louisiana. Contact Babcock Trial Lawyers today for a free case evaluation about your highway accident and injuries. We’ll outline your legal options and our 100% Satisfaction Guarantee: No fee until we recover a monetary award for you and, anytime within 30 days of hiring us, you can ask for and receive your case file and walk away if you are unhappy with our representation and owe us nothing for our attorney’s fees or costs. Interstate highways, including five primary interstates in Louisiana, are characterized by limited access points and increased speeds, a design that theoretically allows traffic to flow without congestion. State highways are also built as multi-lane, primary roadways for speed and convenience. If you have driven any interstate or state highway in Louisiana, you know that they do accommodate high speeds but they do not necessarily flow without congestion, especially if you are in Baton Rouge and New Orleans. When traffic does move freely, cars and trucks typically speed along so close to each other that the slightest mistake can spell disaster. Louisiana allows a top speed of 75 mph on rural stretches of interstate and 70 mph on urban interstates and other limited-access roads. There are also multiple interstate spurs and loops, such as Interstate-110 in Baton Rouge, Interstate-210 in Lake Charles, Interstate-220 in Shreveport–Bossier City, Interstate-310 west of New Orleans, Interstate-510 in Eastern New Orleans, and Interstate-610 in New Orleans downtown. You can conduct a search online with the name of any Louisiana interstate highway and find multiple reports of terrible crashes. In a high-speed crash, a passenger vehicle is subjected to forces so severe that the vehicle structure cannot withstand the force of the crash and maintain survival space in the occupant compartment. Likewise, as crash speeds get very high, restraint systems such as airbags and safety belts cannot keep the forces on occupants below severe injury levels. Traumatic Brain Injury (TBI). A blow to the head or a sudden jolt in the impact of a car crash can cause bruising, tearing, bleeding or other physical damage to the brain. A severe TBI is typically a debilitating injury, and the worst cases are degenerative. Spinal Cord Injury / Paralysis. Trauma to the spinal cord can cause paralysis in one or more limbs (paraplegia), or more widespread portions of the body (tetraplegia, aka quadriplegia). Tetraplegia can affect the function of organs, as well as musculoskeletal control. Some tetraplegia victims require mechanical help to breathe, for example. Internal Injuries. Crushing injuries in a collision can fracture the ribs and/or sternum (chest bone), or rupture major organs. Broken bone fragments can dislodge and penetrate vital organs. Torn abdominal organs, if not surgically repaired quickly, can cause sepsis, shock and death. Whiplash. Whiplash is a traumatic neck injury caused by the sudden jerking motion of car accident, particularly when a car is struck from the rear in a highway pileup. Most cases heal, but whiplash can cause chronic pain and other complications. Fractures. Broken arms, legs, ribs and collarbones are among the most frequently suffered car accident injuries. While young passengers typically recuperate from broken bones in six to eight weeks, bones heal more slowly and less fully as we age. Lacerations. Broken glass and/or sheared metal sent flying in a high-speed crash can cause disfiguring, if not deadly, cuts and gashes. Burns. Third- and fourth-degree burns from fire or contact with hot elements of the vehicle can cause deep tissue damage and disfiguration. Smoke from a fire can cause lung damage and ongoing respiratory issues. Post-Traumatic Stress Syndrome (PTSD). Psychological injuries suffered in a catastrophic car accident are very real and should not be overlooked. A person who has been put through the shock of a crash and injury, or witnessing a loved one being badly injured or killed, may suffer from PTSD, guilt and/or depression. Psychological counseling is compensable medical assistance when needed following a car accident. One or more catastrophic injuries suffered in a car accident may leave the victim disabled for life. Depending on the victim’s age and long-term prognosis, the cost of their care may easily run into the millions of dollars. In such cases, depending on the prospects for damages to be recovered in a claim, it may be proper to develop a life care plan in support of the demand for medical expenses. A life care plan documents anticipated costs required to meet the patient’s needs over the course of their expected lifespan. The plan takes into account the patient’s medical prognosis and long-term medical, psychological, rehabilitation and lifestyle requirements. Many catastrophic injuries are degenerative, requiring additional treatment and more extensive care as the patient’s condition worsens. Babcock Trial Lawyers provides the legal knowledge and investigative work necessary to obtain the most compensation available from a car accident claim for catastrophic injuries. In cases of long-term or permanent disability, we can work with economic, medical and health-related professionals to ensure we have a full accounting of the accident victim’s demonstrated needs for the present and future. In multi-car accidents, pileups and other complex wrecks, which may occur in heavy, high-speed traffic, it can be difficult to determine what happened and why. In such cases, our attorneys at Babcock Trial Lawyers sometimes turn to accident reconstruction specialists for help. Accident reconstruction consultants are professionals trained in engineering, physics and forensics. They are recognized by the courts as expert witnesses, and their opinions and testimony help demonstrate liability in personal injury and wrongful death cases involving motor vehicle accidents. Forensic experts gather data like that above and analyze it with specialized computer programs, which can also create graphic and animated depictions of a car crash. In addition to a narrative report entered into evidence, the consultant’s expert testimony and multi-media presentation can help a jury understand the facts in a car accident case or persuade an insurance company that it should settle. Babcock Trial Lawyers can obtain the assistance of crash reconstruction experts when this additional work will prove beneficial to a complex claim. However, this type of forensic work requires prompt access to the accident scene and vehicles involved in the crash. We urge anyone seriously injured in a car crash contact an experienced car accident attorney as soon as possible to protect their rights to compensation for their losses. Babcock Trial Lawyers can assist you promptly with a free, no-obligation case review.